Item Number: 600-2740-12 19149 Actual Weight: 2.5 lbs. 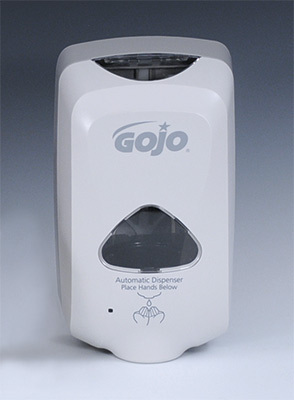 Touch free dispenser is trouble-free and easy to refill. Three C batteries are included. 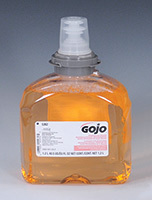 Use with GOJO Premium Foam Antibacterial Handwash.